The property market is recovering on several islands in the Caribbean, in particular Mustique, with last year being one of consolidation, according to the latest analysis. Some islands are still feeling the impact of Hurricane Irma in 2017, says the Caribbean report from international real estate firm Knight Frank, which points out that in the British Virgin Islands and St Martin the re-build will be a slower process. Overall some 70% of the Caribbean islands were unaffected by Hurricane Irma including Barbados, Mustique, Grenada and St Lucia. Mustique, home to the Cotton House Hotel and around 120 villas, saw record sales volumes in 2018 with a number of properties currently under offer and limited supply. Sales in the Bahamas slowed slightly in 2018, although British, US and Scandinavian buyers remain active. According to Edward de Mallet Morgan, head of Knight Frank’s Caribbean desk, sales in St Barts are strengthening with significant investment earmarked to renovate some of the island’s landmark hotels including Eden Rock. The report also says that prices have corrected across Barbados and are back at close to their 2008 levels. The decline in prices has been notable across all levels but in particular above US$15 million but this has created buying opportunities. ‘The election of a new Government in May 2018 and a radical debt restructuring plan is being received positively by investors and second home buyers alike. The robust US dollar, which the Barbadian dollar is pegged to, has lessened the impact of softening prices for those British home owners that already have a foothold on the island. In some cases, this has aided the negotiation process with some vendors being more flexible on price,’ said de Mallet Morgan. 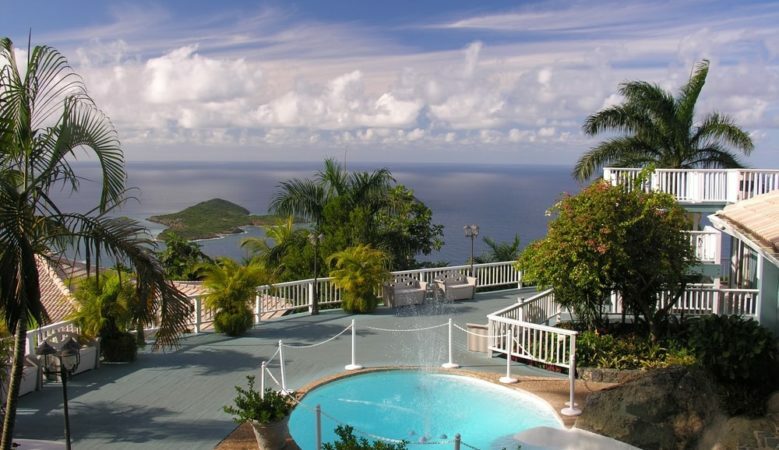 Lack of supply meant that enquiries strengthened as The Mustique Company, the island’s management firm, with the majority of sales are between US$5 million and US$15 million and most owners opt to rent out their villas. Mustique remains popular with buyers from Europe and the US, and all are cash purchasers, the report shows. Proximity to the United States, with a flight time of just one hour between the capital Bahamas capital Nassau and Miami, means the islands are still popular and they attract a broader mix of nationalities including Canadian and Asian buyers, drawn to a number of large hotel resorts, many with casinos. Of the Bahamas’ 700 islands and cays, the northernmost islands, New Providence and Paradise Island, are the focus for the tourist industries. Beyond tourism, the financial services sector generates around 20% of GDP with the shipping registry, the third largest in the world, and 80 insurance companies making a significant contribution. Together with St Barts, the Bahamas generate some of the largest sales volumes in the Caribbean with areas such as Ocean Club, Old Fort Bay, Lyford Quay and Albany facing strong demand, the report adds.